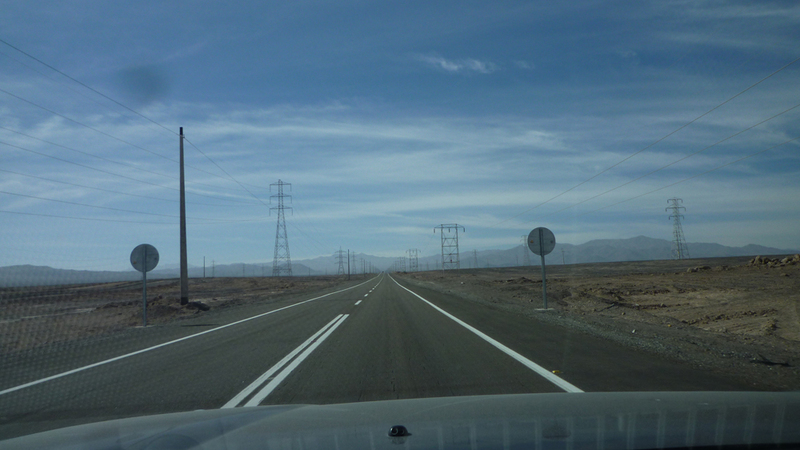 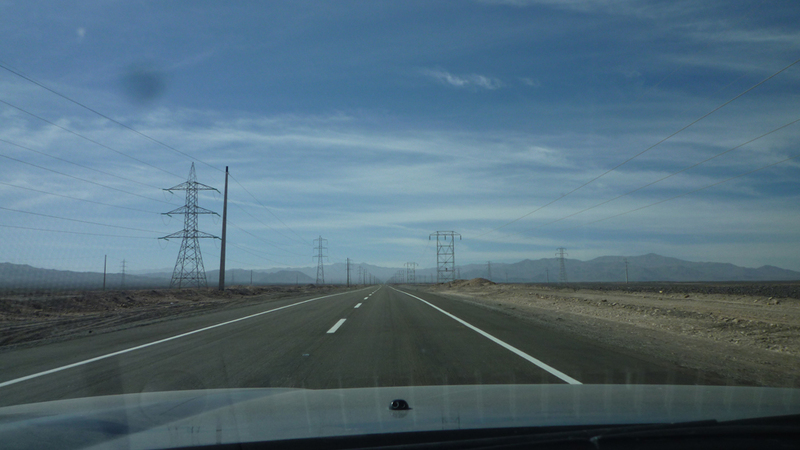 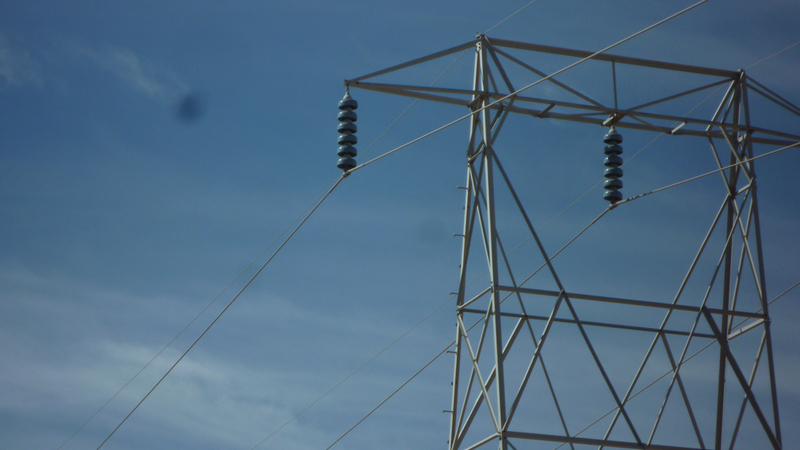 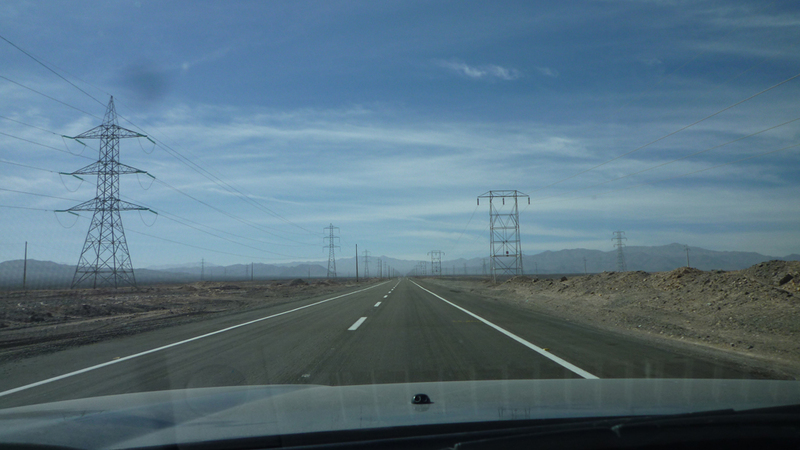 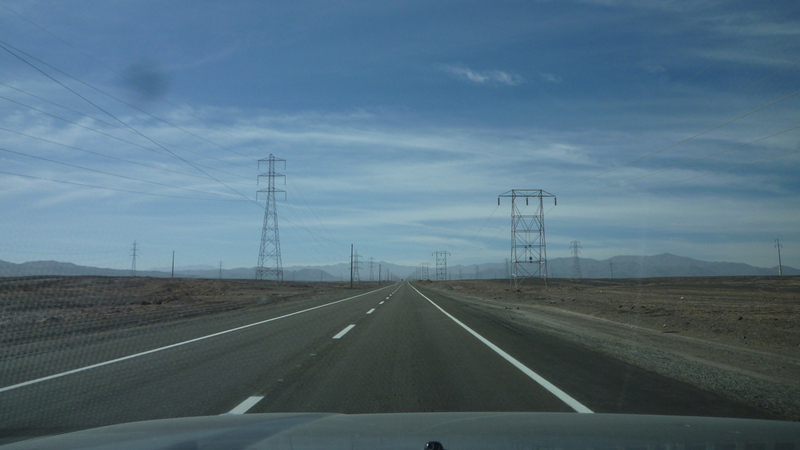 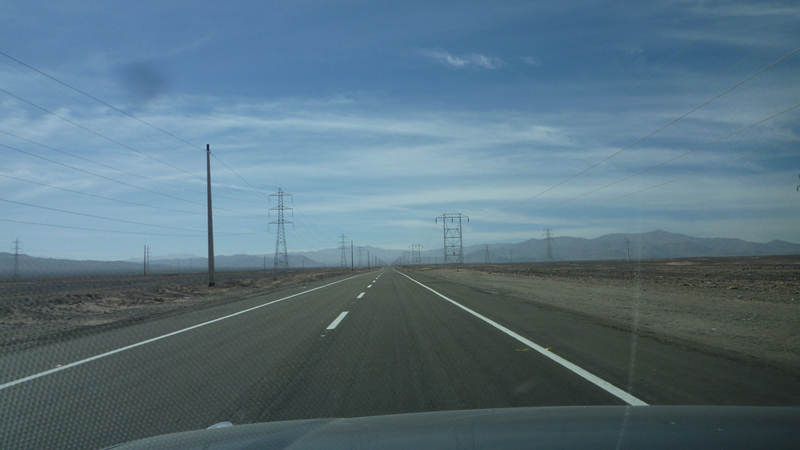 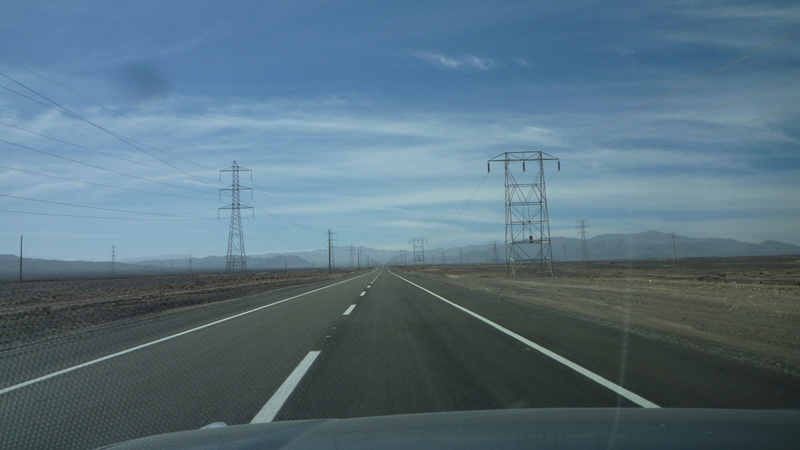 when driving Route 24 during the day, from the Panamerican Highway to Chuquicamata, you enter Power Avenue, lined with elegant steel-latticed towers threaded with cable and beaded by ceramic or glass cylinders. 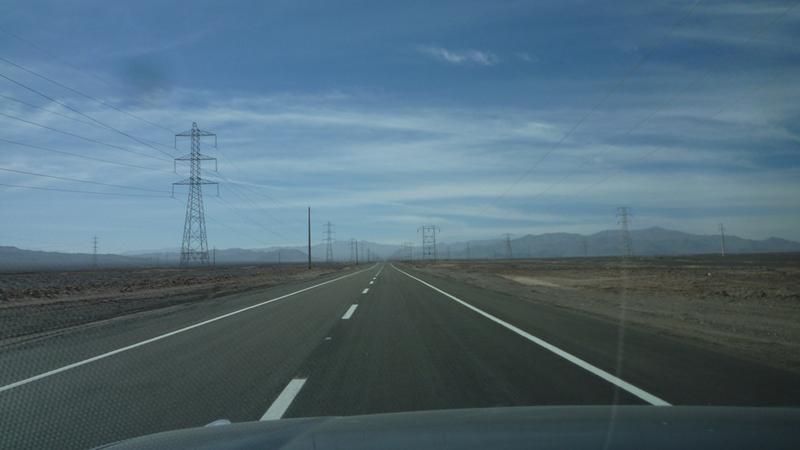 the road is beautifully placed between five power lines running from the inland mines to the processing ports on the coast and where the topography slope runs steep the road bends while the tower lines continue on. 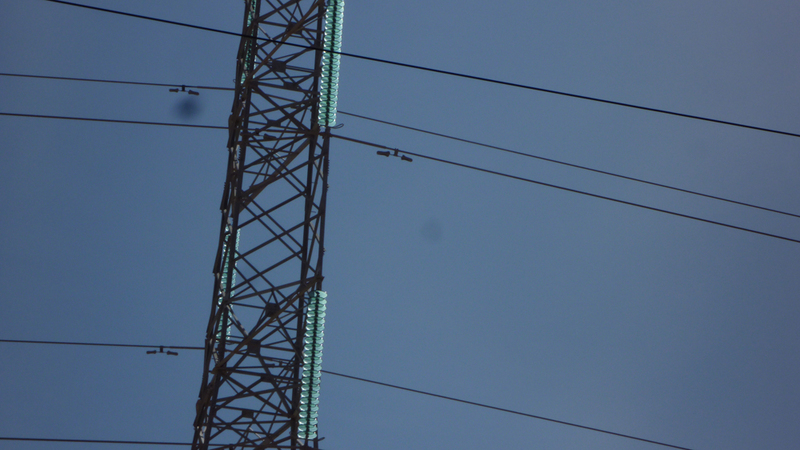 a brilliant placement of the road south of the glass insulators and north of the ceramic so each medium reflects or refracts the sun light as best the material does.